Deferring income and accelerating deductions if you can. Using itemized deductions before they disappear. Leveraging local and state sales tax deductions. Considering making charitable donations now. 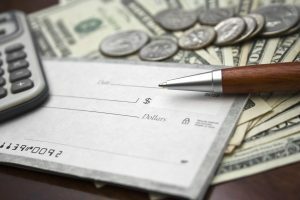 Getting your charitable house in order. Use increased withholding to make up a tax shortfall. Leveraging your retirement account tax savings. Treading carefully with estate planning and scheduling a consultation with a lawyer to review your existing estate plan. Evaluating your state residency status when you split your home between two places. 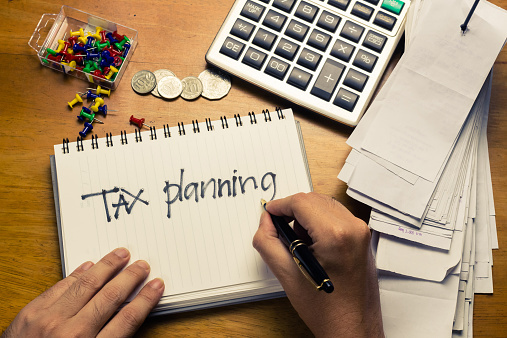 mistakes you could be making that could compromise your ability to be successful with both your taxes and your retirement planning. Incorporating long term care planning, legacy planning, and tax planning all together gives you greater peace of mind for the future. Ready to choose a plan that works for you? Estate planning is a very personal process and one that might change over time as your family structure and needs evolve. Take the time to meet with your estate planning attorney at least annually to review what’s no longer working for you and how you can plan for yourself and your loved ones. One of our previous blog posts mentions upcoming changes to tax law this winter, and what further changes may be in store once November comes around and we know who will be in the White House next year. This could be interpreted as a reason to wait on making any changes to your estate plan; why update your plan when the laws may change in a few months or a year? But it’s not only changing tax laws that necessitate updates to your estate plan, and waiting too long can result in an unhealthy estate plan for you and trouble down the road for your loved ones. That wasn’t too difficult, was it? Once you have an idea about how your financial situation may have changed, it’s time to look at family matters. “Review what might have changed this year. Do you have a new family member? Did one move out? Did you change jobs or move? Get married or divorced?” Any of these changes will require an update to your estate plan, regardless of your financial situation or the fluctuating tax laws. An estate planner can tell you exactly how your plan will need to change depending on your family and financial situation, but if you review and update your plan regularly you should never have any unexpected surprises, and you’ll always rest easy that your family and your assets are well taken care of. Curiosity and excitement are always to be expected in an election year—especially curiosity about taxes. We all know that each presidential candidate has very different philosophies about where the tax burden lies, how much should be paid, and by whom; but all most of us really want to know is how the implementation of each philosophy might affect us personally. “Estate tax: Until the end of this year, estates valued at more than $5.12 million are subject to an estate tax up to a 35% top rate. Barring congressional action, the value of estates subject to the tax will fall to $1 million and be subject to a top rate of 55% next year. “Obama: Would reinstate the estate tax at 2009 levels — meaning estates worth more than $3.5 million would be subject to the tax and face a top rate of 45%. The thing to keep in mind when reading this is that the tax cuts from a few years ago are set to expire at the end of this year. This means that no matter who gets elected, estate tax laws will be changing come January 1st. Now is the time to get your assets in order, take note of any big changes in your life (either personally or financially) and get in touch with your estate planning attorney. Everyone will want to review/update their estate plan this winter, and the earlier you start preparing the better off you’ll be. In addition to a federal estate tax, most people can plan to pay an estate tax for their state of residence as well upon the distribution of a deceased loved one’s estate. These gift and estate taxes generate a significant amount of revenue for most states; but according to this recent article in Forbes, some states are finding that in spite of the revenue it generates, gift and estate taxes have actually become a financial liability. In fact, the state of Tennessee recently enacted legislation which would phase out their estate tax over the course of four years. Tennessee isn’t the only state making these kinds of legislative changes; another Forbes article reveals that “Ohio legislators in both the House and the Senate have voted to repeal the state estate tax as of Jan. 1, 2013.” News sources are actually rife with evidence that many other states have either already enacted legislation repealing estate taxes, or are considering a repeal of what many residents now consider an unfriendly tax. If you’re wondering just how tax friendly or unfriendly your own state is, you can find an interactive state-by-state map on the Forbes website here. Or an even better way to learn more about your options regarding gift and estate tax strategies is to contact our office today.